IES Enrollment Platform, the perfect balance of employee engagement, decision support and enrollment tools for core and voluntary benefits. Does your technology vendor drive revenue? Let us be your technology vendor and help you meet your strategic revenue goals! With everything today’s HR professionals have on their plate, a comprehensive, flexible and secure enrollment solution to manage all aspects of benefits enrollment and administration is now a requirement. With iEnrollsolutions, your team will benefit from a system designed to be easy to understand and navigate, and from a depth of reporting and communication that is unparalleled. Are you delivering value and solutions to your clients, or just a renewal? Have more success stories to tell by choosing the right partners! With iEnroll as your partner, you will have the tools you need to satisfy every client. From the most complex HR benefits enrollment, administration and communication system to a simple voluntary benefits enrollment tool, we have what you need to be successful. IEnroll supports: multiple carriers, agent assisted laptop/tablet enrollment, call center/web-based self enrollments and more. We also feature flexible cost models to meet your objectives as well as personalized service. Let us take this off your plate! We have designed the iEnrollsolutions platform for users and clients that demand an efficient, flexible and successful enrollment process. Our intuitive platform supports agent assisted, call center and employee self – enroll options. Increase profits through efficiency and bring more brokers to your table! At IES we provide a simplistic approach to data gathering for employees, agents and HR teams, coupled with a powerful, secure, flexible and complete data exchange system for carriers. All this makes for a seamless, effortless enrollment experience and more importantly policy issuance without exception. Behind the scenes, iEnroll synchronizes enrollments in real time across the internet. For times when internet access is not available, iEnroll’s innovative technologies will: collect, verify, and batch enrollment data. When internet access is detected, synchronization with your system is completed. Our licensed, seasoned enrollment professionals can enroll on ANY enrollment system available today. With today’s technology and available resources there is no longer a need to pay the high overhead of a brick and mortar facility. IES utilizes licensed, seasoned enrollment professionals who work from their home office, bringing economy, flexibility and scalability to the unique demands of voluntary benefit enrollments. We record and data store 100% of all telephone conversations and exceeds the contractual demands of our insurance partners. Our enrollers can enroll on ANY enrollment system available today. Maximize your profitability with the IES Virtual Call Center. Flexibility, integrity and the tools you need at the lowest cost. IES Enrollment Platform.the perfect balance of employee engagement, decision support and enrollment tools for Core and Voluntary Benefits. IES allows for multiple entry points for each individual enrollment. Online or Offline our system can handle your agent assisted enrollment and even integrate an online self-service enrollment portal, all within a single enrollment. The IES Benefit Administration portal allows for employers to manage their enrollment, their new hires and life change events from one online integrated platform. Employees have access to view their benefit statements and other important plan documents throughout the plan year. The IES platform is fully integrated with several payment processors to accommodate split bill deposit, consolidated billing and direct employee billing via ACH or Credit Card. We've got enrollment locked up. Safe, secure, effortless enrollment services. 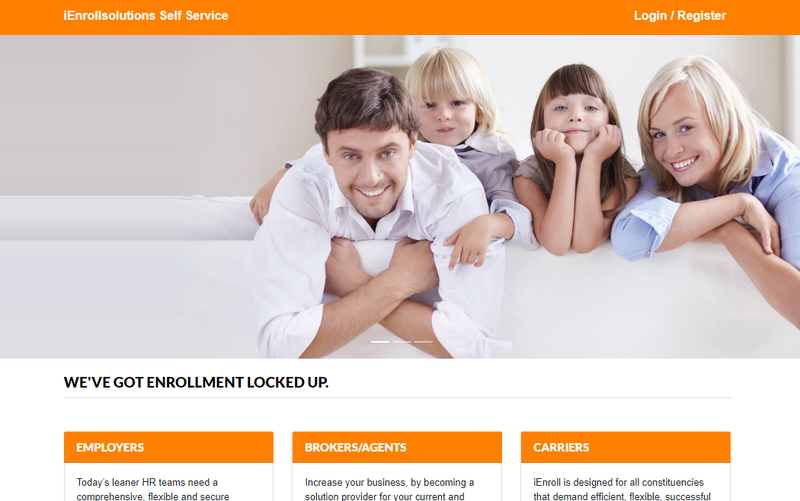 Whether you are a broker, agent, carrier, benefits administrator or an employer, with iEnrollsolutions, the i is you. Copyright@2018 iEnrollsolutions. All Rights Reserved.